Looking at the small places sometimes shows us a lot of the bigger view. 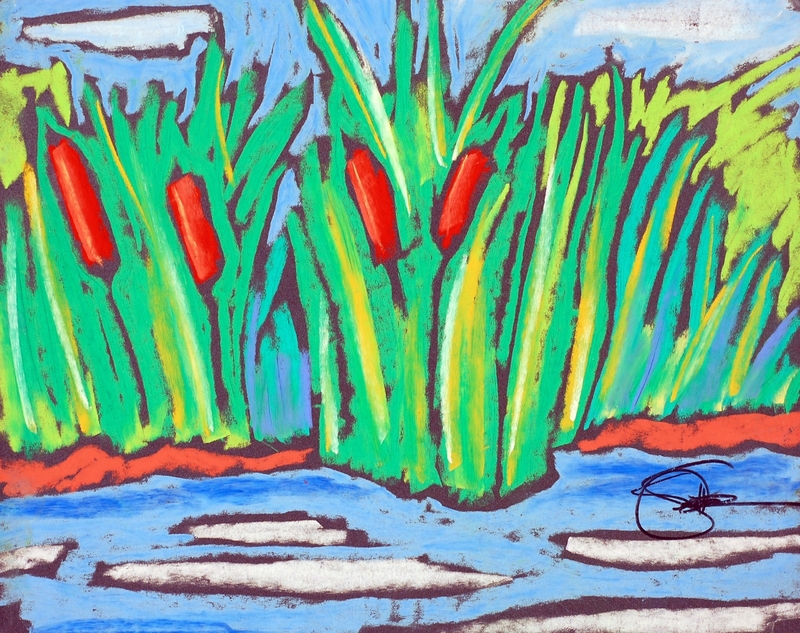 In these pastels on sanded paper I wanted to capture the vibrant graphic nature reflected. Like an echo of what you see these small works reverberate from constrasts of color and hue. These were also explorations into a craft approach that resembles the tactile graphic of the woodcut. The forms are outlined with contrasting black to pull the images forward, like an echo.